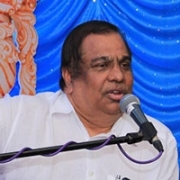 K. Nandakumar, founder & CEO of SunTec technologies. 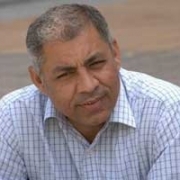 The technology evangelist with more than two decades of experience under his belt came across as a tall figure in thought leadership, who has won several awards and accolades for his business acumen. His vision has empowered SunTec to foray into offer management, loyalty and relationship-based pricing and transform the company into one of the global leaders in revenue management, business assurance and enterprise products in the realm of financial and telecom industries. He has delivered numerous talks across global forums such as SIBOS, 3G Mobile Forum, Indian Banking Summit and Gartner Summits etc. 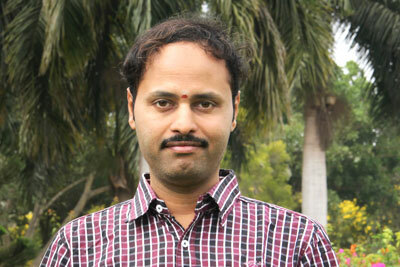 Mr. Nandakumar, who holds master’s degrees in management and physics, is also a widely read writer who regularly contributes to various technology-oriented newsletters and blogs. What is the proof of Mahabharata? Is it not just a story? Q: Some people tell that Gita and Mahabharata happened only in the minds of people. Is there any conclusive scientific evidence for these events? 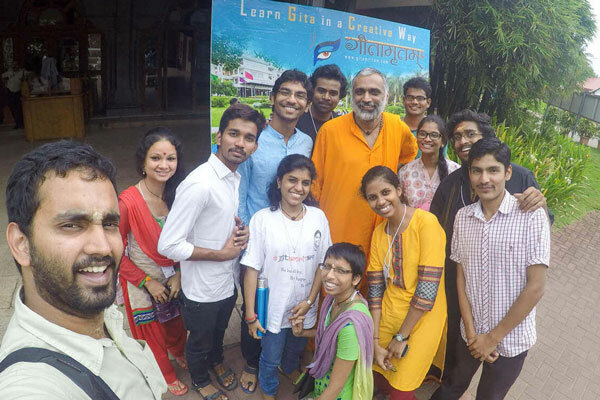 A: Vyasa wrote Mahabharata. Existence of Vyasa is a proof for the existence of Mahabharata. 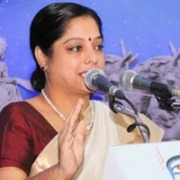 Ramayana and Mahabharata are “Itihasam” – iti iha asam – which means, it happened like that. Unlike Puranas, which were stories, the former are historical. Characters in Itihasa lived and walked on this earth. But the most of characters in Puranas are imaginative. 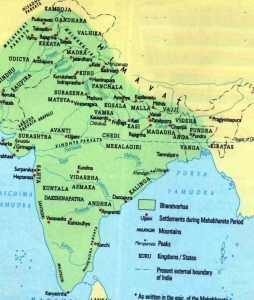 All the places mentioned in Mahabharata still exists in the same name or similar name. There many other stories from various places which mention about Mahabharata and the places and incidents. Recently Archeological Survey of India have excavated the city of Dwaraka. Indraprasth, Kurushetra, etc still exist with the same names. The description of all the Akshonis, weapons used, where it happened, when it happened is completely available and is proved through scientific evidences. Apart from all these, in Mahabharata, there are mention of specific astrological signs. With Indian astronomical calculations we can trace back the exact dates of when it happened. Though there are variety of research results about the exact dates, every study has come to the conclusion that Mahabharata happened about 5000 years ago, Ramayana about 8000 years and Upanishads were discovered about 10,000 years. 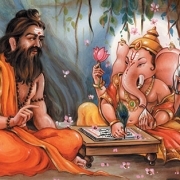 https://www.gitamritam.com/images/vyasa-ganesh.jpg 314 600 Sanjaya https://www.gitamritam.com/images/gita-weblogo.png Sanjaya2015-09-20 00:47:552019-01-11 17:55:40What is the proof of Mahabharata? Is it not just a story? In Gita, Sri Krishna tells that only by believing in me can one attain eternal peace. Doesn’t this mean Sri Krishna is not acknowledging that other forms of worship are meaningless? Does it also mean that worshiping other forms will incur sin – as suggested in other religious texts? Sri Krishna was not referring to his physical form, when he says “me”. 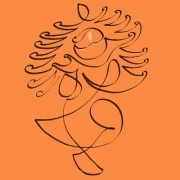 In Chapter 4 Krishna talks about himself; his profile – “I am unborn, I do not undergo changes, I am the Lord of all beings, but controlling the nature I manifest wherever I want through my own power, to uplift the dharma.” That is the description on his profile. Hence when Sri Krishna says ‘ME’, he is not referring to his physical form, but the God principle. 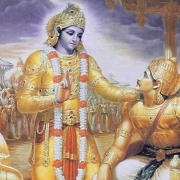 Even after telling the whole Bhagvad Gita, Sri Krishna asks Arjuna to think, reflect upon the ideas and decide and act according to what he feels right. It is totally left to Arjuna to decide. Where can you find such freedom of thought and choices? 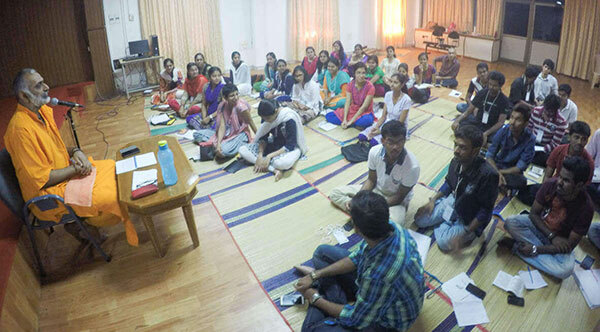 All our sastras are discussions between the teacher and student. These are no commandments. Worshipping any form is not meaningless. In Chapter 4, once again Sri Krishna tells that worshiping any form is worshipping me (me = lord of all beings). We worship the Lord through the medium of stone, metal, clay or any other materials. We are not worshipping the stone, we are worshipping the Lord. We see the divine in them. Every being in this world is nothing but divine. Hence we worship everything. There are temples even for ants, lizards, snakes, plants, trees, rivers, land, mountains, sea, fire, air, and even space! almost everything. We worship children, parents, teachers, husbands, wives.. the list is endless. Everything need to be worshiped and respected and is in line with what Sri Krishna told. Seeing any form we can connect to the divine. In short, by worshipping any form we will reach the divine – because only divine exists. According to Sanatana Dharma Creation and the Creator are not two, but one. Worship happens when love and respect both exists. When we worship, we earn merit – there is no sin. When we worship our parents, teachers and Guru, we earn the merit. Sin is not a concept that is properly understood in our context. It has different connotation in other religious systems. According to Gita, we are results of our own karma. Q: How could have Sri Krishna told 700 verses of Gita on the Battlefield, making Arjuna understand all the secrets of life? When people spent years and years studying Gita, how could Sri Krishna possibly convey the entire meaning of Gita in the battle field? 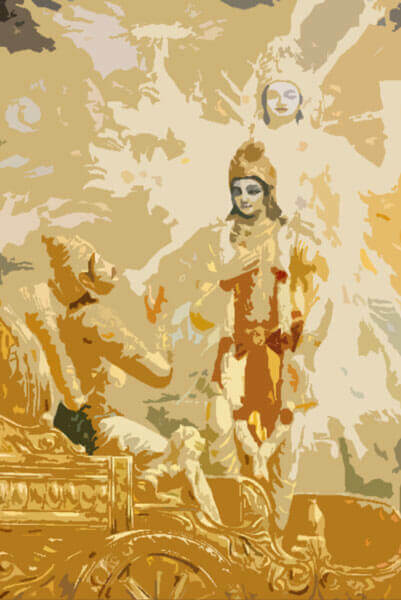 A: Arjuna was a learned person, with knowledge of many Sastras. Currently, he was deluded — not able to decide what is right and what is wrong. Sri Krishna might have inspired Arjuna through few words and that would have been enough to convey the ideas. All the ideas in Gita are taken from Upanishads / Vedas. It is all combined and conveyed to Arjuna in a way he could understand. During that time of Gita, Arjuna and Krishna were in a totally different dimension. 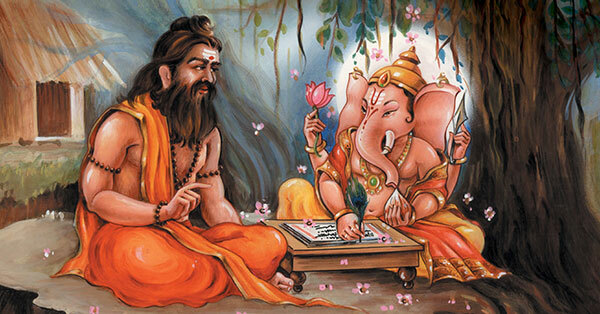 You could say that “the bandwidth and connectivity were very high.” Between a disciple and Guru, the connection should be like that. It was in total Love. That Love can transcend time. Later after the war when Arjuna asked Sri Krishna to repeat the Gita again, Sri Krishna says that he was in a different mood at that time, and he is not now, so he can’t repeat. When one sits with his/her girlfriend or boyfriend, hours seem to pass in seconds!. In Love one transcends time. 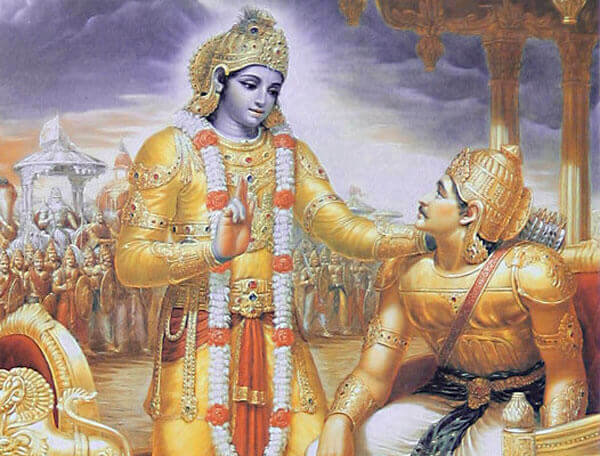 Arjuna’s devotion to Sri Krishna could have made it possible for Sri Krishna to convey entire Gita to Arjuna. But, the question should be whether Gita is helpful to our life. We need only to be interested in the ideas discussed here. 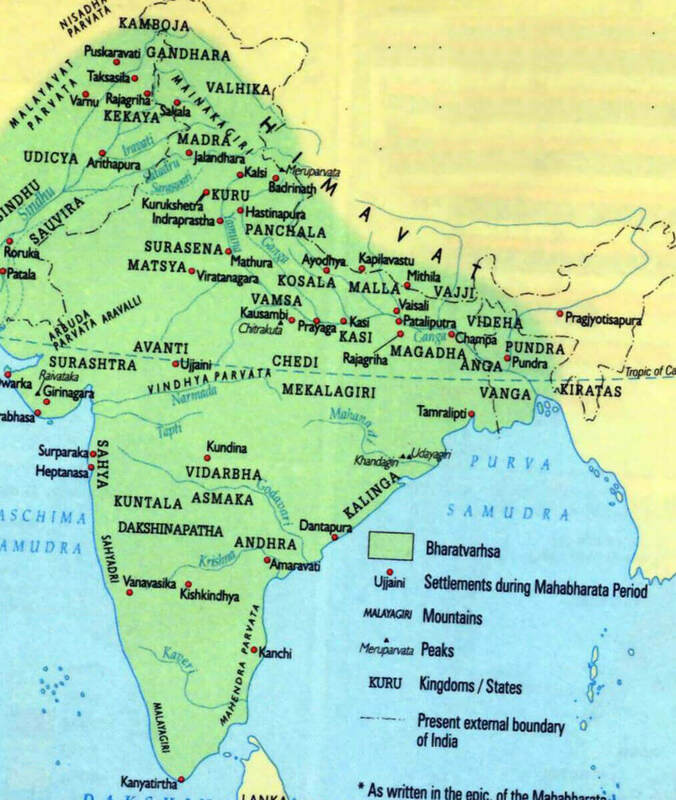 Note: The original Mahabharata, as written by Jaya had 24,000 slokas and later expanded to 1,24,000. 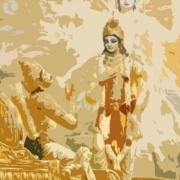 Arjuna had Krishna to show him his Dharma. What hope do we have in our moments of confusion? 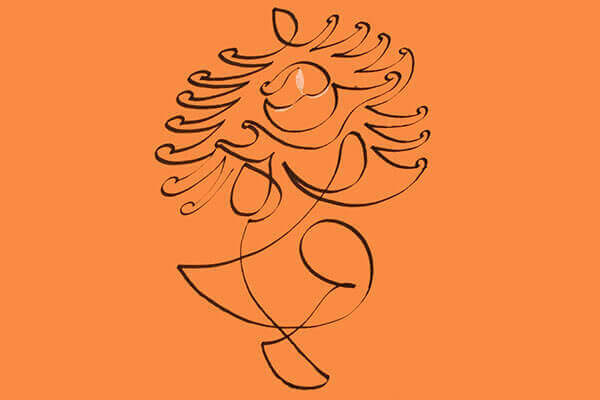 Sri Krishna should not be confused as just a person. It is the discriminative power (the pure intellect or the conscience) within us. We need to awaken that. You must know how to tune to Krishna. Then we can listen to that “Gita” specifically made for you by “your Krishna”. Follow that Gita. 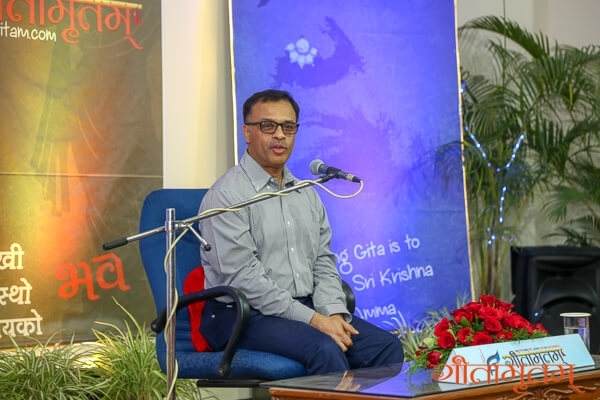 By learning Bhagavad Gita, we will know what is mind and what is conscience and will be able to live not according what mind says, but according to what conscience (mana: sakshi) says.